Hours: Open daily 8:30 a.m.-6 p.m.
Production hours: Usually Mon-Fri until 4:30 p.m.
“Life is like a box of chocolates. You never know what you’re going to get...” This may be true, but at the Ethel M Chocolate Factory, guests can actually see for themselves what goes into each chocolate morsel. Ethel M Chocolates stores are unique to Southern Nevada — in fact, you’ll find locations at the McCarran Airport. Those outside Las Vegas must order these gourmet desserts online. The flagship store and factory is located southeast of Vegas in Henderson. 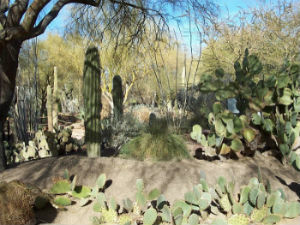 Here, guests can go on free tours of the factory and four acre cactus garden outside of the facility. More than 30 years ago, Mars Candy tycoon and inventor of M&M’s, Forrest Mars, Sr. established Ethel M as a tribute to his mother. Ethel had bestowed upon her son the art and passion of chocolate making. This led to the creation of various well-known Mars brands, including Snickers, Dove and Twix. Ethel M was partially bred out of boredom as Mars had recently retired from his namesake company. Legend states that he opened Ethel M in Nevada because it was one of the few states that allowed production of liqueur-filled chocolates. The factory has been producing chocolates from the same location since 1981. Today, Ethel M uses the same recipes developed by Mrs. Mars from back in the early 1900s. 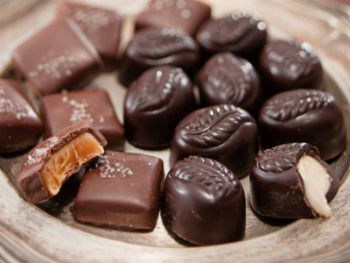 There are no preservatives in any of these gourmet chocolates, so purchasers must eat their chocolates within two weeks. Since they are so tasty, this is hardly an issue. Located approximately 8 miles east from the Las Vegas Strip, the Ethel M Chocolate Factory attracts thousands of visitors annually. Here, guests can experience chocolate making the old fashioned way. Over 60 different kinds of chocolates are made in the kitchen, one batch at a time. There are crunchy nut favorites, such as almonds, pecans and toffee crisps. Other Ethel M favorites include the Satin Crèmes, drenched in milk or dark chocolate and filled with a soft velvety texture of lemon, raspberry, chocolate or vanilla creme decadence. The factory is visitor friendly, allowing guests to take a free self-guided tour. Videos on screens throughout the factory explain the history of Ethel M and information about chocolate making. The hallways through the factory are built with large glass windows, which let visitors see everything from how the cocoa beans are cooked to packaging of the finished product. Tours generally last 30 minutes to an hour. 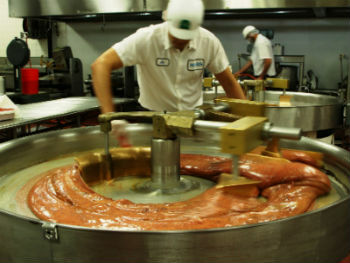 The factory is open seven days a week from 8:30 a.m. - 6 p.m. but it is recommended to get there before 4:30 p.m. during the week, as this is when most of the action takes place. Guests can always call ahead to find out when the kitchen is in full swing. After exiting the factory, guests can roam around the Ethel M Chocolate Lounge and sample free chocolates. This flagship store is the best location to browse for Ethel M chocolates. Forrest Mars was not only passionate about chocolate but also gardening. Next to the chocolate factory, he constructed a Botanical Cactus Garden, which is one of the world's largest collections of its kind. Based on the English landscape model of naturalistic design, the Ethel M Botanical Cactus Garden features four acres of drought-tolerant ornamentals, cacti and other succulents. Over 300 species of plants can be found on the grounds. Each winter, the cactus garden transforms into a winter wonderland, with more than 500,000 sparkling lights on display. Dedicated to creating a green environment, Ethel M Chocolates recently unveiled another garden of sorts — a new “Solar Garden” featuring more than 2,000 solar panels. The state-of-the-art solar installation provides 100 percent of the electrical energy to Ethel M’s plant during peak operating hours. The solar garden is adjacent to the chocolate factory and Botanical Cactus Garden. A vista point allows visitors to view the new solar facility.